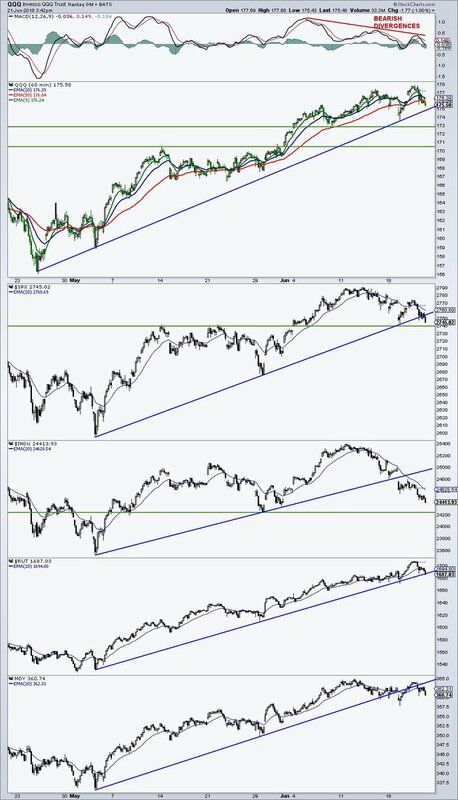 Summary – A top-down review of interesting calls and comments made last week in Treasuries, monetary policy, economics, stocks, bonds & commodities. TAC is our acronym for Tweets, Articles, & Clips – our basic inputs for this article. Editor’s Note: In this series of articles, we include important or interesting Tweets, Articles, Video Clips with our comments. This is an article that expresses our personal opinions about comments made on Television, Tweeter, and in Print. It is NOT intended to provide any investment advice of any type whatsoever. No one should base any investing decisions or conclusions based on anything written in or inferred from this article. Macro Viewpoints & its affiliates expressly disclaim all liability in respect to actions taken based on any or all of the information in this article. Investing is a serious matter and all investment decisions should only be taken after a detailed discussion with your investment advisor and should be subject to your objectives, suitability requirements and risk tolerance. 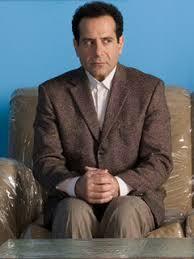 1.”Player in the Zone” & Cramer as Monk? Last week, we described President Trump as the player in the zone; not just any player but a player who has always won with a weaker hand against much stronger teams. When such a player finally gets the strongest hand of all, he becomes very hard to fight. That is what we saw this week. Remember how US Presidents were kinda captive to OPEC? Not President Trump in 2018. Partly because US is now almost as large a producer of oil as Saudi Arabia. But even more so because of the special relationship he has built with the Crown Prince of Saudi Arabia & UAE. Unlike the dumb articles in US media that portrayed him as dependent on MBS of Saudi Arabia, the actual dependence runs the other way, both because of his actions against Iran but also because MBS is critically dependent on President Trump’s support. Any one who doubts that should hear Helima Croft of RBC Capital Markets describe “President Trump as the key or only consumer” for OPEC. She also added “Trump’s intervention in April very much changed the direction of OPEC’s policymaking“. Donald J. Trump‏Verified account @realDonaldTrump – Based on the Tariffs and Trade Barriers long placed on the U.S. and its great companies and workers by the European Union, if these Tariffs and Barriers are not soon broken down and removed, we will be placing a 20% Tariff on all of their cars coming into the U.S. Build them here! Lisa Abramowicz‏Verified account @lisaabramowicz1 – Trump is now threatening 20% tariffs on European cars. https://www.bloomberg.com/news/articles/2018-06-22/trump-threatens-to-impose-20-percent-tariff-on-european-cars … Even before this, investors have been backing away from EU auto makers. It’s been the worst week for their shares since early 2016. As we all understand, the bulk of European cars imported into America are German – BMW, Mercedes, Audi & Volkswagen. So this is a weapon pointed directly at Germany and not at France, Belgium, Austria, Netherlands, Spain. As we wrote two weeks ago, without ending or severely curtailing Germany’s mercantilism Europe’s economic health will not be restored and America’s trade deficit with EU will not get reduced. jeroen blokland‏Verified account@jsbloklandJun 21 – No #Italyis not yet behind us! 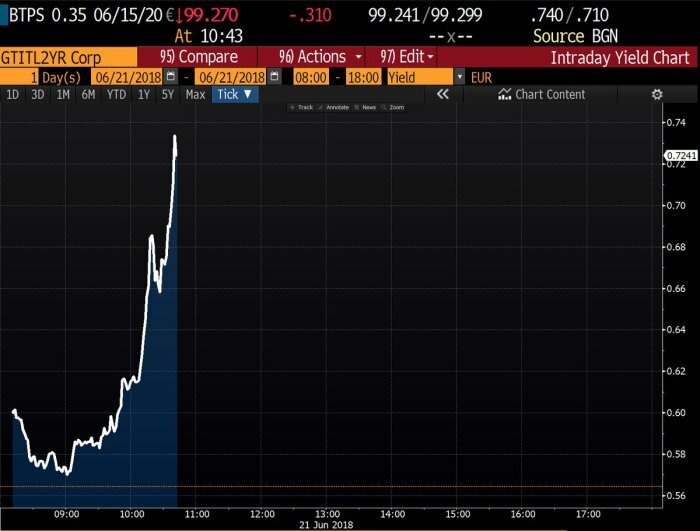 Italian 2-year bond #yield spikes to 0.72%. Italy is in a virtual state of economic & nationalistic war against Germany; Poland, Hungary & other Eastern European states want stability but not the dominance of Germany. If you think about it, this is similar to 1930s and other periods in German history when a united Germany was simply too strong & dominant for the good of Europe as a whole. And that is the true aim of President Trump – to reduce the power of Germany and make European countries more democratic & nationalistic. The timing couldn’t be better given the already large divergence between Europe and America. Political stability in Germany depends entirely on the strength of its manufacturing sector and that sector is critically dependent on the large automobile companies. A 20% tariff could prove devastating to German luxury car makers and so they are putting enormous pressures on German Government to get EU to drop tariffs on US cars exported into Europe. But that is merely the first step. Remember the last sentence of President Trump’s tweet – “Build them here!” So this battle against Germany is really to force a Make in America if they want to Sell in America, drive. Now you understand why capital is flowing from the rest of the world into America. Wait! 1930s America had two big mercantile adversaries – Germany & Japan. So what is today’s equivalent of 1930s Japan? Another 5-letter word – China. The drive to contain China is a much larger, deeper and more momentous one than the conflict with Germany & EU. President Trump & his administration believe deeply that China represents a “major challenge” to the status of America in the world and no time can be lost in taking corrective measures. We have already seen clear statements from Secretary of State Mattis about a greater naval presence in the South China Sea, a stand that cannot but create intense long term friction between US & China. That brings us to economic tariffs & restructuring demands on China, some which China would find very hard to accept. We think President Trump & his team are convinced that China has a much weaker hand and they plan to keep up the pressure. That ties in with the mid-term elections in November 2018. 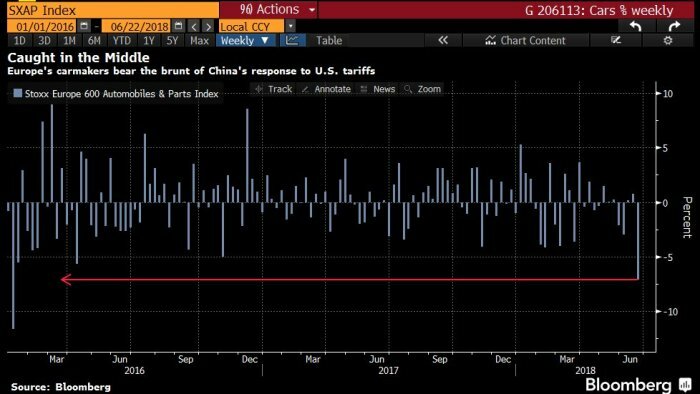 So we do not expect any reduction in rhetoric or step by step actions against China (& Europe & NAFTA) between now and November 2018. 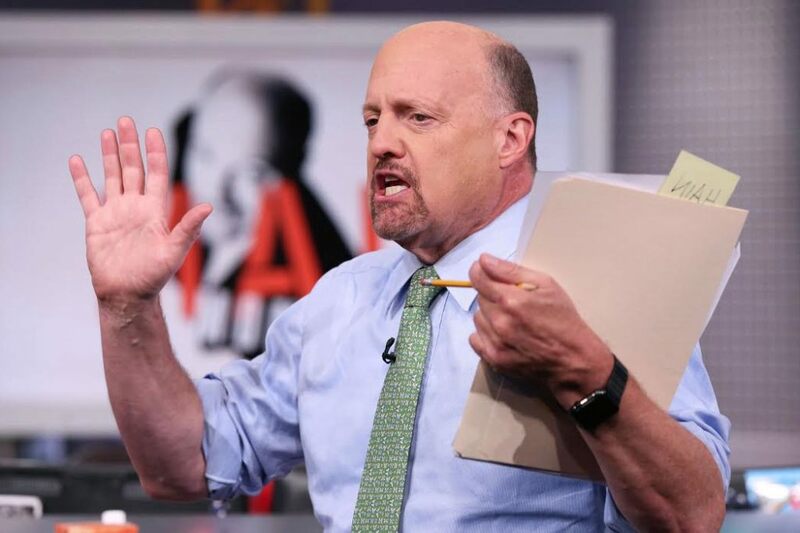 “Raise some cash; you will thank me later” – was Cramer’s concluding line. The first part of the line is vintage Cramer, but the second part is vintage Monk, the diffident TV detective Adrian Monk. Was Cramer trying to suggest that there is an inner Monk in him? After all, he has often explicitly alluded to the inner Gandhi inside him. Hmmm! We haven’t seen any evidence of an inner Monk in Cramer. But then, we haven’t seen any evidence of an inner Gandhi in Cramer either. But that has to be our fault as a beholder, right? Given that credit is weakening in Europe & economies are getting buffeted by trade & political tensions, how would you expect German yields to behave? Like they did this week – German 10-yr yield fell by 7.5 bps on the week to 33 bps and German 2 year yield fell by 5 bps to minus 69 bps. US Treasury yields behaved differently – the 30-year yield hardly budged, while the 5-year & 3-year yields fell by 3 bps. The 10-year yield fell by 2.7 bps to close at 2.899% – perched right on the lower boundary of Santelli’s 2.90 – 3.03 range. Both the 30-10 spread and the 10-7 year spread steepened a bit this week. We are somewhat disappointed in the above clip. Mr. Rieder was a guest host for an entire hour and all CNBC captured was a 3 minute conversation, half of which was taken up by comments of CNBC anchors, Joe Kernen & Becky Quick. 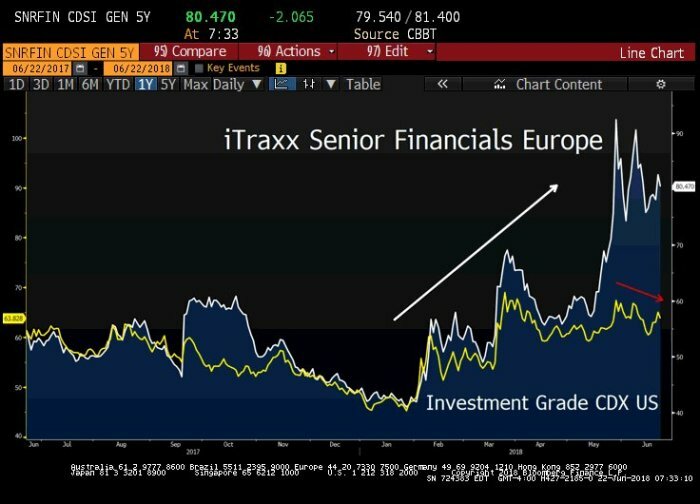 But we used it because it did capture the bullet points of Mr. Rieder – Draghi has essentially put a cap on developed market rates; the short end is attractive & there is incessant demand at the long end of the Treasury curve. Bloomberg shows, especially Surveillance, tend to be more discussion-oriented but, for some unfathomable reason, the clips that capture the discussion tend to be very limited in scope, like the clip above. Tiho Brkan‏@TihoBrkan– Forced to cut their bearish positions on the $USD, hedge funds have created a powerful short squeeze rally. However, according to currency breadth measures, all majors are declining against the greenback. In other words, $USDis most overbought since 2001 peak. Current-account balances are healthy in emerging markets, though they have deteriorated in recent quarters, and the market selloff has given the group a greater carry, the Goldman pair wrote, referring to the benefit of a wider yield differential. Countries including Brazil, Indonesia, Mexico and South Africa have narrowed current-account deficits since 2013, IMF data show. The main theme for Goldman is that when the global economy does well, the dollar tends to underperform, and the analysts see a recent deceleration as having “mostly run its course.” The second quarter saw the U.S. outperform as tax cuts kicked in. “EM fundamentals mostly still green, but markets flashing red,” is how the analysts characterized the current state of play. The Russell 2000 has already corrected this to a small extent over the last 2 days. Will that continue? 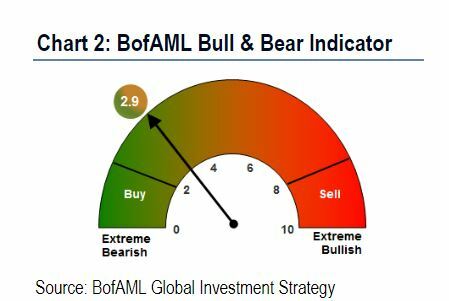 Can a “No” answer be bullish or at least non-bearish? Isn’t next week a month-end week? 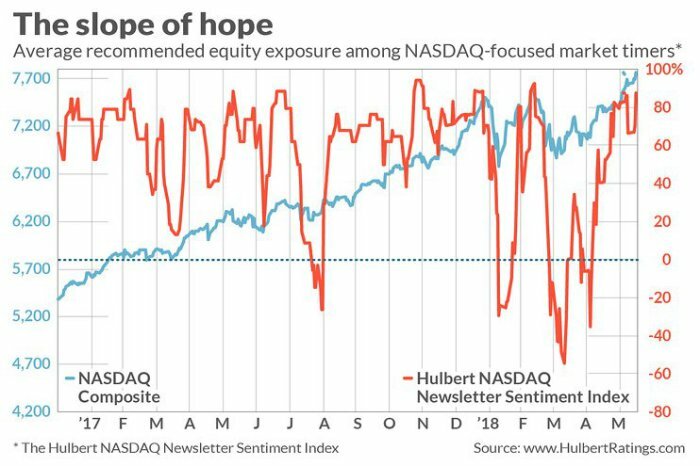 How about a Buy signal from a major firm? Goldman may see a green light in EM debt but EM stocks don’t see any yet. Brazil kept sinking with the rest of EM, down 3% on the week on par with EEM also down 3%. What about India, another market we had featured last week? Since EM stocks begin with EM FX, the big question is what about the Indian Rupee? Both Barclays & J.C. Parets answered this question. [Barclays] ... expects the rupee to decline to 72 per dollar by year-end as elevated oil prices dents government finances and foreigners dump Indian assets. Hitting the target would mean an annual drop of 11.3 percent for the currency, worse than that seen in 2013. The prediction is also more bearish than the 67.52 median forecast in a Bloomberg survey. “India’s difficulty in attracting portfolio flows is exacerbated by poor bond market, unclear policy communication by the Reserve Bank of India and rising political risks ahead of the 2019 election,” analysts Hamish Pepper and Dennis Tan wrote in a note Thursday. Barclays’ earlier forecast was 69 per dollar. “India’s wider current-account deficit, driven by higher oil prices and demand for capital import, will be increasingly difficult to fund, given the increased return competition posed by higher USD rates for EM debtors,” the analysts wrote. Below is a daily chart of the INR/USD pair showing its mid-May rally back toward former support turned resistance near 0.0152, where prices were quickly rejected and pushed back to its 2.5-year lows near 0.014510 (68.92 Rs/$). Of all the major currencies mentioned above [US Dollar, Euro, British Pound, Yen, and Australian Dollar], the Rupee remains weakest against the US Dollar and the more times this support level is tested, the more likely it is we see a break to the downside. If prices close below 0.014510 (68.92 Rs/$), that would confirm a breakdown and suggest that we want to be short the Rupee against the US Dollar and taking profits nearly 5.5% lower at 0.013703 (73 Rs/$). Our risk is very well-defined and the reward/risk will be ridiculously skewed in favor of the bears if/when we see that break of support. Carried Interest – An Elixir for Retirement, Population Growth & a Happy Life?